Michigan you need to hear this … all Americans across this country that love America and support our CONSTITUTION need to hear this. 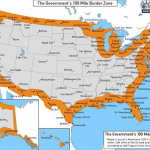 Above is a map of the Constitution Free coastal border around our country and a Islamic map that is outdated and has grown since it was made because MN isn’t shown on it. Use these two maps for reference as Laura is explains Jihad. 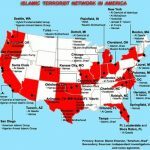 Please note that Michigan is completely a Constitution Free Zone and Dearborn has one of the largest Muslim populations in our country and Detroit is increasing which leaves our state wide-open for SHARIA LAW with nothing to stop it if we don’t DEMAND our Constitution be restored and enforced! This entry was posted in CORRUPTION, EDUCATION, IMMIGRATION, ISLAM, NEWS, RESOURCES, VIDEO by Republic for Michigan. Bookmark the permalink.